(Trent Nelson | The Salt Lake Tribune) Governor Gary Herbert delivers his State of the State address at the Utah Capitol in Salt Lake City on Wednesday Jan. 30, 2019. There are several words that came to me as I read The Tribune’s coverage of Gov. 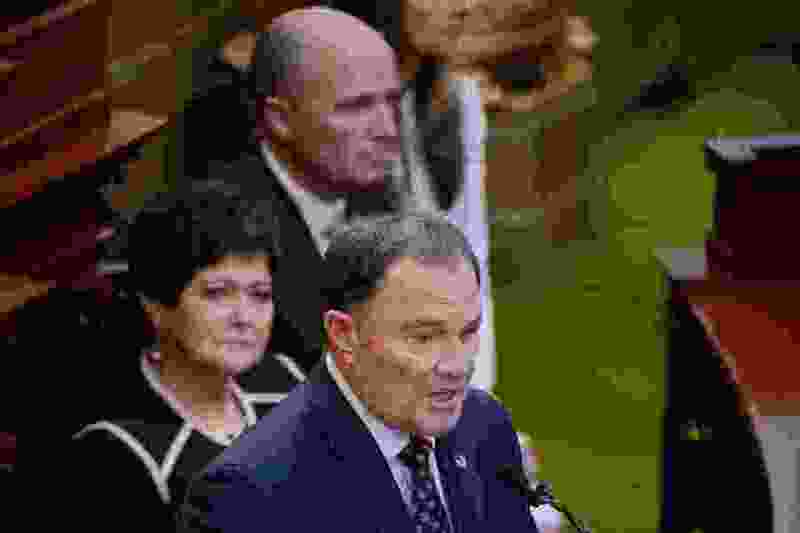 Gary Herbert’s State of the State address! Hypocrisy, fear, despair and incredulous. Incredulous, because Republicans like Herbert and the our legislators keep getting elected here in Utah, as though the wealth is actually trickling down to the slaves. Despair, because voters here seem to believe what Republicans say, without question, or without informing themselves through other sources. Fear came to mind because of Herbert’s comment how he is “disturbed of our youths fascination with socialism,” and how being like Venezuela would be the result! Scary! Hypocrisy is the untold part of Herbert’s, half of the story, speech. Every politician in the whole United States derives their salary, health care, retirement, along with perks for meals, lodging, vacations, and other travel, through a socialistic system. Through the multitudes of taxpayers, they get everything us socialistic wannabes would like, but can’t get! We bottom-feeders live in a capitalistic system, powered by socialists who don’t want you or I to have what they have! The governor talks of taking more from x to lessen the cost of y, because of a surplus of z! Confusion, to mask and deceive the followers, while the billionaires get tax incentives to come to your town, and cheap laborers who live in government-subsidized housing so they won’t stink or be hungry when they show up for work.